Just moments before disbanding ahead of the upcoming elections, the Knesset passed the Restriction on Advertising and Marketing of Tobacco Products Bill, which puts a special twist on the combat on smoking. The bill passed its final reading by a 45-1 vote. The bill, submitted by MKs Eitan Cabel (Zionist Union), Yehuda Glick (Likud), Eyal Ben Reuven (Zionist Union) and a group of other MKs, bans all cigarette and tobacco ads, except in print media. The ban extends to cigarettes, cigars, hookah (nargila) products, and papers used to roll cigarettes, and it also outlaws advertising for non-tobacco herbal substances used for smoking, as well as e-cigarettes and all affiliated devices. The legislation makes exceptions for advertisements in stores selling the products, for ads in print media, and for smoking images used for artistic or news purposes. The twist comes in the form of a new requirement that cigarette packages be in a brown colour, Pantone 448c, which a study has found to be the world’s ugliest colour. The packaging will also feature health warnings against smoking. Packaging for e-cigarettes and related products will say “Warning – this product is very addictive and harmful to your health.” Packaging for other smoking products will say “Warning – smoking causes serious diseases and premature death.” A different warning will appear in the few cigarettes ads that will be permissible, which will only be in certain kinds of print media. The warning will have to take up as much space as the ad itself, and the Health Ministry will determine its text. All packages of smoking products will be sold together with a pamphlet against smoking published by the Health Ministry. Furthermore, stores that sell cigarettes will only be able to put them in a place where customers cannot see them, or in a separate area that cannot be seen from other parts of the store, with the exception of stores that only sell smoking products or liquor stores. 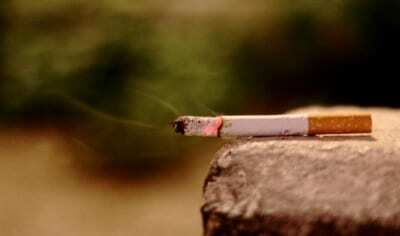 In addition, companies cannot give free samples of smoking products. Ridiculous. This will do absolutely nothing to stop teenagers from stupidly diving into those addiction to look cool to their peers. BRAVO!Once again, Israel sets an example for the rest of the world.